Unboxing Hell’s Highway – Attenzionen!!! 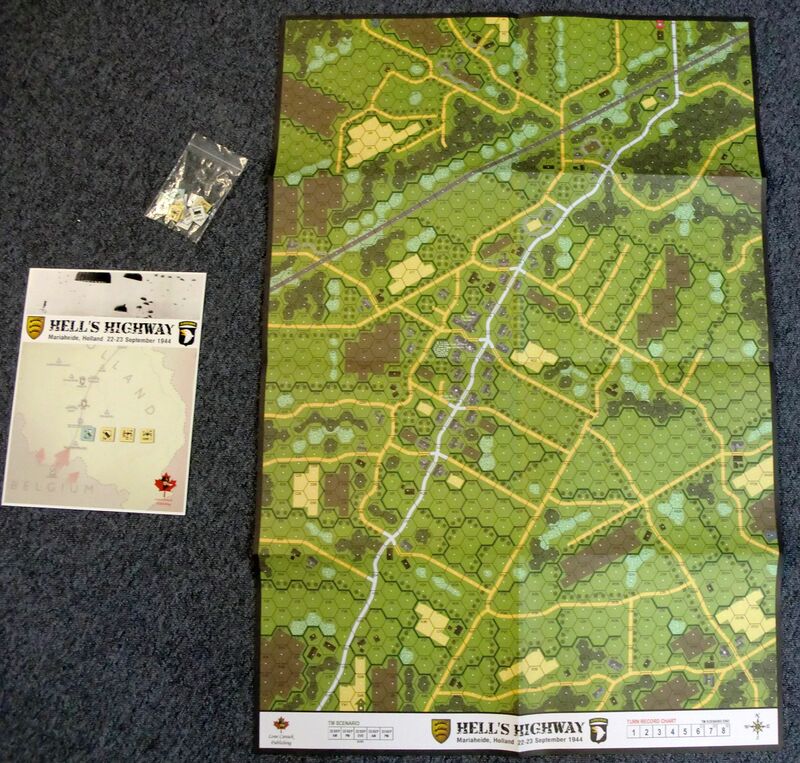 Here comes my first purchase of an Advanced Squad Leader campaign game. This one is from Lone Canuck Publishing. I ordered the pack from Le Franc Tireur who offer an excellent mail-order service world-wide. I received the game even before being given details for payment. Especially for the European player I can strongly recommend this publisher. 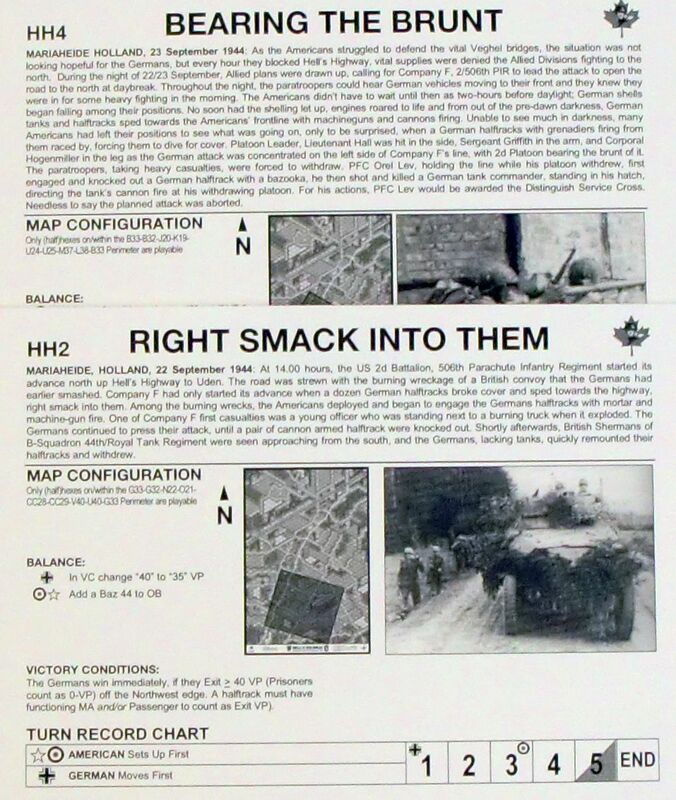 What you get is the map of Mariaheide, the campaign information, 5 scenarios, and some very nice vehicle counters. 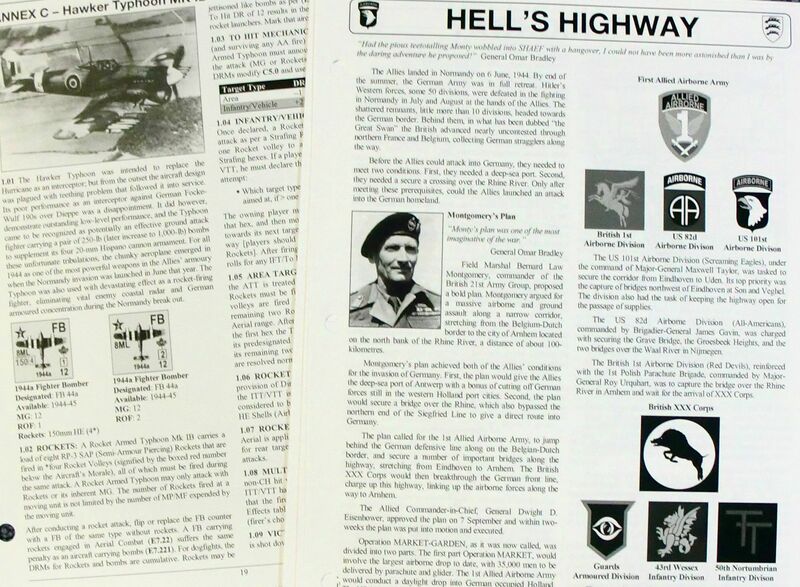 The map shows a 2 kilometer stretch of the highway to Arnhem that lays about halfway between Eindhoven and Nijmegen. One special terrain feature is the partial orchard hex bordering most roads. The scenarios supplied with the game are short at 4 ½ to 6 ½ turns length. The opposing forces consist of the US paratroopers from 101st Airborne Division’s 506th Parachute Infantry Regiment aided by some British XXth Corps M4 tanks for the Allies pitted against elements of the German 107th Panzer Brigade. The latter is lavishly equipped with the latest 1944 model Panther G and Hanomag SPW. I cannot wait to give the scenarios a trial. 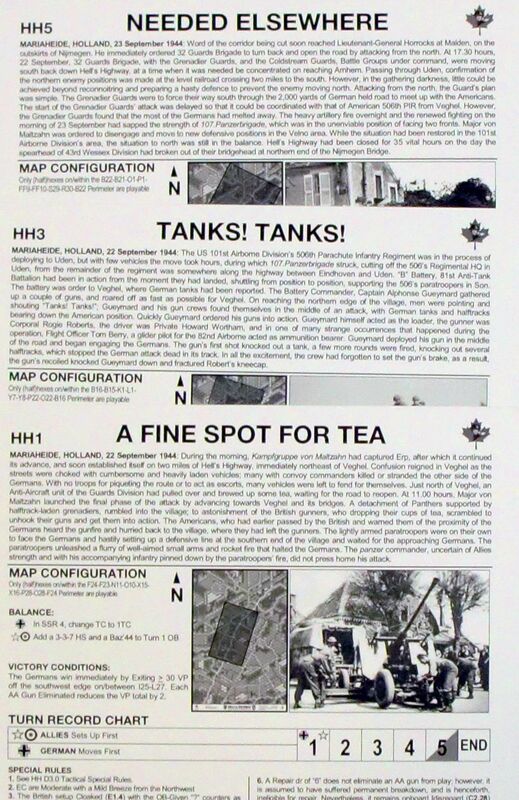 The only downside for me is that I only have the British ASL counters from “Decision at Elst” as I do not own the British core module “For King and Country”. For 40mm aa-guns and transportation I will have to make do with the old counters from the Squad Leader gamette “Crescendo of Doom”.